The Suntrust Garage offers convenient daily and monthly parking. 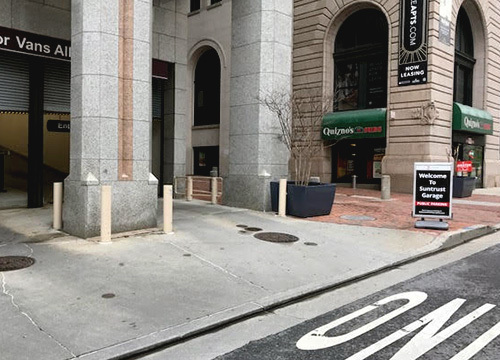 The Garage is connected to the Suntrust Building, which is a 3 minute walk from the Inner Harbor, as well as Royal Farms Arena, Camden Yards, and M & T Bank Stadium. The Garage is just around the corner from City Hall and the Clarence J. Mitchell Jr. Courthouse. The Garage closes to the public daily at 10 PM.